Amazing morning at Guru Ram Das Ashram. 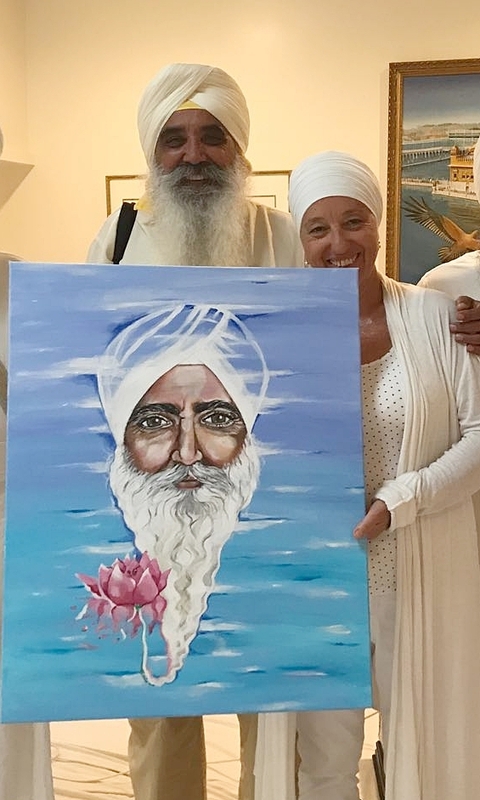 I am finally presenting Bhai Dya Singh with his commissioned portrait, the cover of his next book coming out March 2018: "The Zen of Sikhing." Dya Singh is originally from Malaysia, now based in Australia. He is acknowledged as the most significant singer/musician in the world today of the Sikh mystical musical tradition.